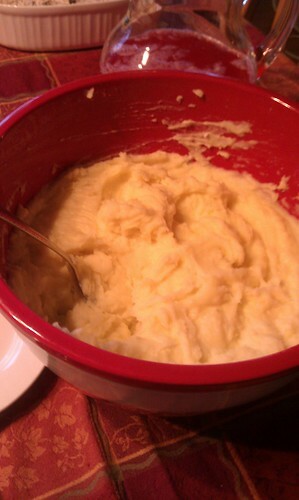 Yum – Yukon Gold Mashed Potatoes in an awesome bowl I received as a gift from my dear friend, Casey. AWW!! Just saw this post. That is a good lookin’ bowl.